Dolo! It helps that I picked up an almost identical looking (though much smaller) souvenir in Xi'an while visiting the Terracotta Army site. Wow-so much for my certainty...How many of these warriors do we have in the city!?!? Only been to P.F. 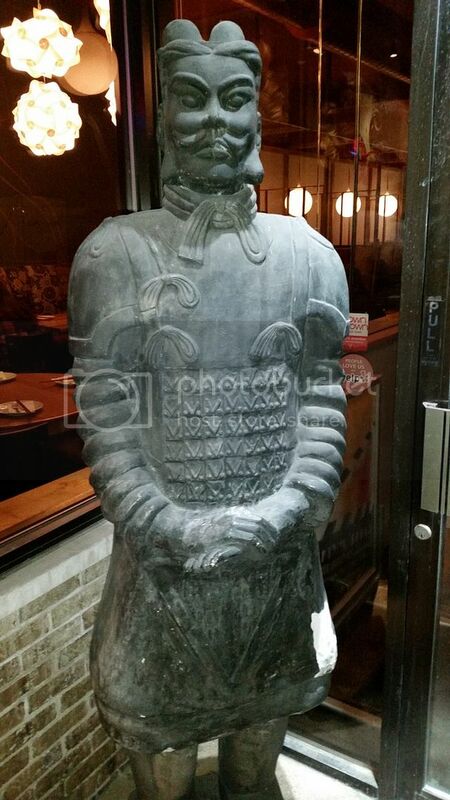 Chang's once, maybe 15 years ago -- but I know they have some of the terra cotta warriors in their entryway (or did when I was there). No correct guess yet. Guess the ol' terra cotta warriors are pretty popular. Amazing how similar it is to the one I picked up in Xi'an at the Terracotta Army Museum. BR wrote: Amazing how similar it is to the one I picked up in Xi'an at the Terracotta Army Museum. Still no correct placing of the seemingly ubiquitous terra cotta statue. Well . . . yeah. They all . . .